My parents started teaching me to read when I was three. and I've been an avid reader ever since. Writing also began at an early age. My first paid piece was published in the highly prestigious pages of the local free paper when I was ten, I started a school magazine when I was 14 and started my career as a computer journalist on the then best-selling computer magazine Personal Computer World. After a brief stint as editor of a home computer magazine, I went freelance, writing for computer, business and in-flight magazines, as well as the national dailies. I also wrote and co-wrote a number of books, mostly computer titles. I am now EU Editor of 9to5mac and 9to5google. My short attention-span resulted in the portfolio career I have today (technology journalism, technology research and photography). I have also more recently turned my attention to fiction. I've so far written two novels. The first was an 80,000-word chicklit novel, and it wasn't very good. Well, some of the writing is good, but there's not much plot to it and too few characters. I may revisit it someday. My second was a 110,000-word technothriller about a terrorist attack bigger than 9/11. I think that is pretty good. I found an agent for it, but a year later she'd only shown it to three publishers, so I'm about to look for another one. 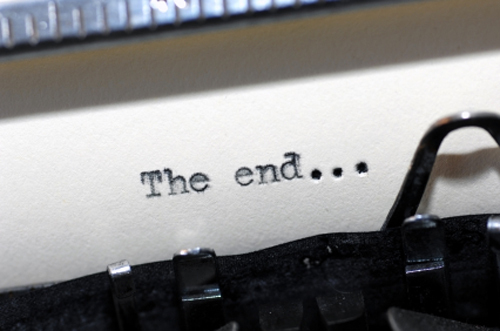 I've just finished a third novel, also a technothriller, about the world's biggest robbery. Creative writing is an odd activity. Almost all of us love it while we're doing it, yet almost all of us will do anything to avoid starting to write. I swear I've hoovered to avoid sitting down to write. Hoovered, I say! 300 words in, I'm off, but getting those first 300 words of the day written feels somehow Herculean. Write-ins are a bizarre-sounding yet highly effective way of dealing with this. 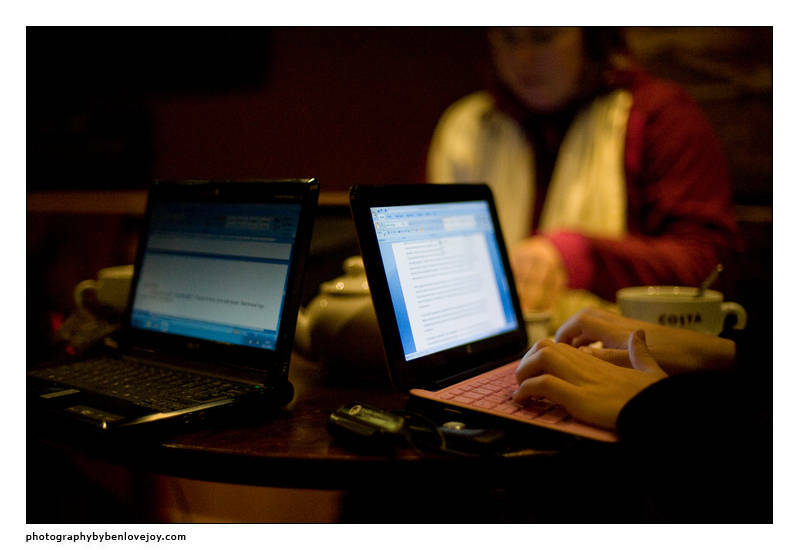 A write-in is when anything from two to fifty writers get together in a coffee shop, pub, library or other public place, all get out their laptops and write. A social event with no socialising. It's a weird idea, but they work. Once you're there, the fact that everyone else is madly tapping away means that you can't really do anything else. Actually, it's not true that there's no socialising. We chat before and after writing, of course, and some write-ins are structured as a sequence of timed writing sessions with short chat time in between. Londoners have the luxury of year-round write-ins, albeit not on a daily basis, thanks to a meetup group called Write Together. As a well-organised geek, I was very sceptical about the concept of an all-in-one app like this. My view was that it didn't do anything I couldn't already do with my logical structure of files and folders, and some carefully-positioned windows. Trialling it very quickly changed my mind: no, it doesn't do anything I couldn't do before, but it makes everything much faster and easier. And you don't have to worry about your precious work being locked into some proprietory file-format: a Scrivener project file is really nothing more than a disguised zip file full of RTF files, so you can access them in Word or anything else that speaks RTF. On a 17-inch laptop, you can comfortably have your list of scenes on the left (a technothriller typically has a more film-like structure than a conventional chapter structure), your copy in the middle and notes on the right. On the MacBook Air 11 that I use for write-ins, I can still have structure on the left and copy on the right. You can click on any past scene heading to remind yourself what happened earlier, or on your notes for any future scene to remind you where you're headed. Accessing your research notes, character profiles, screengrabs, photos, etc, is just as easy. However, a detailed review with screengrabs will have to wait until my first technothriller is published and I no longer have to protect the content! If you like the free trial of Scrivener, and want to express thanks for the heads-up, my affiliate links to buy it are here: Mac and Windows. First, you'll note from the above description that my novel is stored in my Dropbox folder, which means there is always a copy of it on the Dropbox server. Second, I have a Time Capsule, so whenever my Mac is at home it's performing an hourly incremental backup. Third, when I'm in the office, the Mac is hooked up to two external drives: a second Time Machine backup, and a second drive which uses Carbon Copy Clone to create daily-updated clones of each drive. Fourth, I have Crashplan installed, so my Mac is also continually backing itself up to the Crashplan server any time I have a net connection. Those four forms of backup have the essential characteristic of being fully automatic: they don't rely on me actively doing anything. You'll also note that two of the three are off-site. I then supplement these with one manual backup: at the end of each writing session, I save the Scrivener project file to a USB key. This lives in a different bag to my Mac. You might not be quite as paranoid as me, but I do strongly endorse the wisdom of the IT adage that "a document doesn't exist unless it's in at least three places, at least one of them off-site."